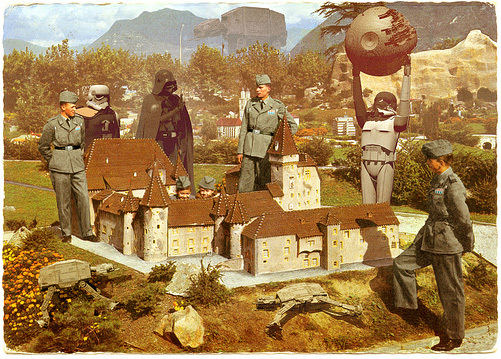 Franco Bambrilla has this great image, titled “Imperial Minigolf Final Exam,” available in giclee print form. I’m trying to figure out what exactly’s going on. Maybe that stormtrooper’s about to make a free throw. I can’t see the hoop, but I imagine that armor has to augment you somehow, right? It’s probably just off-camera. That would probably be a three-pointer, though. Wait, no, this is mini-golf, not basketball. Maybe you have to make a putt through a two-meter exhaust vent?